PLEASE CAREFULLY READ THESE TERMS AND CONDITIONS BEFORE USING THE PAR WEB SITE (THE "WEB SITE"). BY USING THE WEB SITE YOU INDICATE YOUR AGREEMENT TO THESE TERMS AND CONDITIONS. Welcome to the PAR Web site ("the Web site"). By using this Web site, and any other sources of PAR electronic communication, such as blogs or bulletin boards, you agree to be bound by these Terms and Conditions of Use, which are effective unless and until terminated by PAR ("PAR," "we," or "us"). We reserve the right, at any time, to modify, amend, alter, or update these Terms and Conditions of Use. You agree to be bound by such modifications, amendments, alterations, or updates. We encourage you to visit this page periodically to review our most current Terms and Conditions of Use. The Web site's content is for informational purposes only and should not be construed as specific instructions for individual persons or situations. PAR does not provide clinical advice, nor should content of the Web site be considered clinical advice. This Web site is not intended to be a substitute for professional psychological, psychiatric or medical advice, diagnosis, or treatment. Always seek the advice of a qualified health care provider with questions about psychological or mental disorders and/or medical conditions. Never disregard professional health care advice or delay in seeking it because of something you have read on this Web site. PAR Web site content is intended to supplement, not substitute for, the diagnosis, treatment, and advice of a health care professional, and it is not intended as a guide to self-treatment or self-diagnosis. Opinions expressed on this Web site belong to the authors and do not necessarily reflect PAR's opinions or those of our employees. We are not responsible for the accuracy of any of the information published on the blog submitted to the PAR Web site by authors or others. PAR does not recommend or endorse any specific health care providers, procedures, opinions, or other information that may be mentioned on the blog. PAR is an independent publisher of psychological assessments and resources. No advertiser or organization, at any time, has any direct influence or impact on our editorial decisions, editorial direction, or what we publish on the blog. We welcome your submissions for publication on the Web site and elsewhere. By submitting any material, you grant PAR, its employees, agents, licensees, independent contractors, successors, and assigns (collectively the "Licensees") an irrevocable, perpetual, assignable, worldwide, and royalty-free license to use, edit, reproduce, disclose, publish, and distribute any material you submit for any purpose, in any medium, with or without attribution to you (in our sole discretion), without restriction or review by you, and without compensation to you. For this reason, you should not send us any submission that you do not wish to license to us, including any confidential information or any original creative materials, such as product ideas, computer code, or original artwork. Further, if you post on our Web site or provide to PAR through our Web site (such as by e-mail or FTP) any copyrighted or copyrightable works of authorship, proprietary information, trade secrets, or other information or material in which you have intellectual property rights, moral rights, or other proprietary rights (individually, a "Work" and collectively, the "Works"), you (a) grant Licensees a perpetual, worldwide, and royalty-free license of all right, title, and interest in the Works, as well as all intellectual property and proprietary rights associated with the Works, and (b) waive all rights of attribution and integrity with respect to the Works. You also grant Licensees, without any obligation of PAR to pay or otherwise compensate you, rights to use any ideas contained in any material provided by you for new or improved products and/or services for PAR, its affiliates, or others, and you agree that your posting to or disclosure of those ideas on our Web site places such ideas in the public domain. In addition, you agree to indemnify, defend, and hold harmless the Licensees for any claims, suits, losses, expenses, damages, and costs (including reasonable attorneys' fees) arising from (a) any material you submit to or through the Web site, (b) your use of or access to any part of the Web site, or (c) services any Licensee renders in conjunction with your use of our Web site. The indemnified claims include but are not limited to claims for defamation, invasion of privacy, invasion of rights of publicity, copyright, trademark, patent or intellectual property infringement, unfair competition, and any and all claims arising in statute or tort. We reserve the right to delete information and/or materials that we deem, in our sole discretion, to be obscene, indecent, harassing, defamatory, infringing upon the intellectual property or proprietary rights of others, or otherwise harmful, unlawful, inappropriate or objectionable. At the same time, we assume no responsibility and make no warranty that we will screen for or remove objectionable material. You agree to hold Licensees harmless for any failure to delete objectionable material. No warranties, either expressed or implied, are made as to the information posted. We disclaim any warranties regarding the Web site's content or any page to which the Web site may link or reference. You agree that all such content is provided "as is" and without any warranties of merchantability, suitability, fitness, or any other kind. Information on the Web site may be inaccurate, incomplete, or out of date. Accordingly, reliance on information provided by PAR, a blogger, or commenter is solely at your own risk. The Web site and its content (including all site design, text, data, interfaces, logos, button icons, legends, images, photographs, music, audio or video clips, titles, page headers, graphics, software, and the selection, arrangement, coordination, enhancement, and presentation of said elements) are the sole property of PAR and/or any authors, affiliates, or content suppliers and are protected by United States and international copyright laws. All software used on our Web site is the property of PAR or its software suppliers (or is used under license from the owner) and is protected by United States and international copyright laws. You acknowledge that these rights are valid and protected in all forms, media, and technologies existing now or hereinafter developed. Any trademarks that appear on the Web site are either our property or the property of others, who may or may not be affiliated with, connected to, or sponsored by PAR. Our Web site and its content are not intended for re-use or reproduction. Except as otherwise provided on our Web site, any other use of our Web site or its content without our written permission is strictly prohibited. Our Web site and its content may not be reproduced, duplicated, copied, transmitted, disassembled, sold, resold, or otherwise exploited for any commercial purpose that is not expressly permitted under these Terms and Conditions of Use. Any information copied from our Web site in accordance with the foregoing must include the appropriate PAR copyright notice and trademark notices and may not be altered in any way. Using our Web site does not confer, by implication, estoppel or otherwise, any ownership right or license to our Web site as a whole or to any individual elements of our Web site, without regard to whether such elements are subject to copyright or trademark protection. Access to our Web site does not authorize anyone to use any name, logo, slogan, or mark in any manner. The application of our Web site into any other site is strictly prohibited unless pre-approved in writing by PAR. PAR reserves the right to refuse access in its sole discretion, including, without limitation, if PAR believes that a user's conduct violates applicable law or these Terms and Conditions of Use or is harmful to the interests of PAR or its affiliates. By using our Web site, you certify that you are 18 years of age or older. Persons under the age of 18 years may not use our Web site. You are prohibited from violating or attempting to violate the security of our Web site, including, without limitation, (a) accessing data not intended for you or logging onto a server or an account that you are not authorized to access; (b) attempting to probe, scan, or test the vulnerability of a system or network or to breach security or authentication measures without proper authorization; (c) attempting to interfere with service to any user, host, or network, including, without limitation, by submitting a virus to the Web site, overloading, "flooding," "spamming," "mailbombing," or "crashing"; (d) sending unsolicited e-mail, including promotions and/or advertising of products or services; or (e) forging any TCP/IP packet header or any part of the header information in any e-mail or newsgroup posting. Violations of system or network security may result in civil or criminal liability. PAR will investigate occurrences that may involve such violations and may involve, and cooperate with, law enforcement authorities in prosecuting users who are involved in such violations. You agree not to use any device, software, or routine to interfere or attempt to interfere with the proper working of this Web site or any activity being conducted on this Web site. You agree further not to use or attempt to use any engine, software, tool, agent, or other device or mechanism (including without limitation browsers, spiders, robots, avatars, or intelligent agents) to navigate or search this Web site other than the search engine and search agents available from PAR on this Web site and other than generally available third party web browsers (e.g., Internet Explorer). You may provide a hyperlink to our Web site from another Web site, provided that (a) the link is a text-only link, marked "PAR Web site;" (b) the link "points" to the URL "http://www.parinc.com" and not to other pages, graphics, or images within our Web site; (c) the appearance, position, and other aspects of the link are not such as to damage or dilute the goodwill associated with the name and trademarks of PAR; (d) the appearance, position, and other aspects of the link do not create the false appearance that any person or entity other than PAR is associated with or sponsored by PAR; (e) the link, when activated by a user, displays our Web site on a full screen and not within a "frame" on the linking Web site; and (f) you do not directly or indirectly cause any portion of this Web site to appear on a user's computer screen with any material (e.g., URL, text, graphics, pop-up window, audio, or other) supplied by or associated with you or any third party. PAR reserves the right to revoke consent to link at any time in their sole and absolute discretion by amending these Terms and Conditions of Use or providing notice to the operator of a Web site containing the link. You agree that all other hyperlinks to our Web site must be expressly approved in advance, in writing, by PAR. PAR reserves the right, but not the obligation, to monitor areas of our Web site electronically. PAR further reserves the right to disclose any content, records, or electronic communication of any kind if we are required to do so by any law, regulation, or court order (including subpoenas), or if such disclosure is necessary or appropriate to operate the Web site or to protect PAR's rights or property or the rights of the other Web site users. Licensees will in no event be liable for any damages or losses resulting from or caused by your use of the Web site; your misuse of any information contained herein; the Web site's content, including any errors in or omissions from this Web site, including but not limited to technical inaccuracies and typographical errors; any third party web sites accessible through links on our Web site; or any services or products delivered, purchased, or used as a result of your use of our Web site. Licensees also will not be liable for technical failures or for unauthorized access to user transmissions by third parties. THIS IS A COMPREHENSIVE LIMITATION OF LIABILITY THAT APPLIES TO ALL LOSSES AND DAMAGES OF ANY KIND (WHETHER GENERAL, SPECIAL, CONSEQUENTIAL, INCIDENTAL, EXEMPLARY, OR OTHERWISE, INCLUDING, WITHOUT LIMITATION, LOSS OF DATA, INCOME, OR PROFITS), WHETHER IN CONTRACT, NEGLIGENCE, OR OTHER TORTIOUS ACTION, EVEN IF AN AUTHORIZED REPRESENTATIVE OF PAR HAS BEEN ADVISED OF OR SHOULD HAVE KNOWN OF THE POSSIBILITY OF SUCH DAMAGES. If you are dissatisfied with our Web site or any content on the Web site, or with these terms and conditions, your sole and exclusive remedy is to discontinue using our Web site. If and insofar as the limitation of liability set forth in the immediately preceding sentence is found to be invalid, unenforceable, or inapplicable for any reason, then Licensees' aggregate liability under such circumstances for liabilities that otherwise would have been limited shall not exceed one hundred U.S. dollars ($100.00). In no event will any Licensee be liable to you or anyone else for any decision made or action taken by you in reliance on information on the Web site or for any consequential, special, or similar damages, even if advised of the possibility of such damages. If you believe that any material posted on the Web site infringes any copyrights, please notify us by providing a written notice signed physically or electronically by a person authorized to act on behalf of the owner of an exclusive right that is allegedly infringed. In your written notice, please identify any copyrighted work claimed to have been infringed (or, if multiple works are covered, a representative list of such works); identify the material that is claimed to be infringing or to be the subject of infringing activity and that is to be removed or access to which is to be disabled; provide information reasonably sufficient to permit us to locate the material; provide information reasonably sufficient to permit us to contact you, such as an address, telephone number, and, if available, an e-mail address; state that you have a good faith belief that use of the material in the manner complained of is not authorized by the copyright owner, its agent, or the law; and state that the information in the notification is accurate and, under penalty of perjury, that you are authorized to act on behalf of the owner regarding an exclusive right that is allegedly infringed. Please send the written notice to Copyright Administrator, C/O PAR, 16204 N. Florida Ave., Lutz, FL 33549 or copyrightadministrator@parinc.com. U.S. export control laws regulate the export and re-export of technology originating in the United States. This includes the electronic transmission of information and software to foreign countries and to certain foreign nationals. You agree to abide by these laws and their regulations (including, but not limited to, the Export Administration Act and the Arms Export Control Act) and not to transfer, by electronic transmission or otherwise, any content derived from our Web site to either a foreign national or a foreign destination in violation of such laws. Our Web site is created and controlled by PAR in the State of Florida, U.S.A. As such, you agree that the substantive laws of the State of Florida will govern the interpretation and enforcement of these Terms and Conditions of Use, or any disputes that arise hereunder or relate in any way to the Terms and Conditions of Use, without giving effect to any principles of conflict of laws which might otherwise result in the application of the substantive laws of another jurisdiction. The courts in or for Hillsborough County, Florida, with appropriate subject-matter jurisdiction, shall be the sole and exclusive venue for any dispute arising out of or relating in any way to your visit to our Web site. You consent to exclusive jurisdiction and venue in such courts. These Terms and Conditions of Use incorporate by reference any notices contained on this Web site and constitute the entire agreement with respect to your access to and use of our Web site. Our failure to exercise or enforce any right or provision of these Terms and Conditions of Use shall not constitute a waiver of such right or provision. If any part of these Terms and Conditions of Use is found by a court of competent jurisdiction to be invalid, it is agreed nevertheless that the court should endeavor to give effect to the intention of such provision by making reasonable modifications in such provision if practicable and by continuing to honor all other terms and provisions of these Terms and Conditions of Use, which are intended to remain in full force and effect. Licensees make no representation that materials on our Web site are appropriate or available for use in other locations or jurisdictions. Accessing this Web site from jurisdictions where the contents of our Web site are illegal is prohibited. Those who choose to access our Web site do so on their own initiative and are responsible for compliance with local laws. Please let us know if you have any questions about, or would like a copy of, our Terms and Conditions of Use. A copy will be provided to you free of charge. 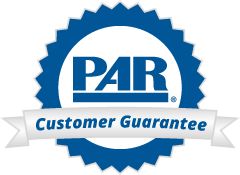 Simply send your request to custsup@parinc.com. Copyright © 2012 PAR. Any rights not expressly granted herein are reserved.